07. BRIAN CARES - Hey DJ! 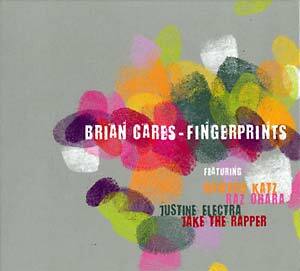 Fingerprints is the debut full-length release by Berlin's Brian Cares for the Bar25 label. 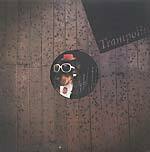 This album is the result of sessions with an international roster of artists and friends, and it shows another aspect of Brian Cares' output. His affair with audio started in the late '90s. Inspired by the sounds of pop music he heard on the radio in the '80s, he began his career as a studio assistant. While making first attempts at producing backing tracks for commercial productions, he also developed his DJ career. His DJ sets became as versatile as his general music understanding, and he started landing pieces in national TV commercials. The sessions which would eventually become Fingerprints began in 2005, as a way to escape the more business-oriented aspects of music-making -- the aim was just to have fun and collaborate with other professional artists to produce a sound he's always had in his head. Fingerprints is the artist's personal playground to fool around with ideas and stories, inspired by the work of Quincy Jones, Frank Farian, Brian Burton, Matthew Herbert and Brian Eno, just to name a few. Most material on this album was recorded at Brian's home-studio from 2005 to 2007. Remixing the material was done using an analog mixing-board, high-end audio gear and tape-machines. The result is a smorgasbord of celebratory, danceable tracks that combine tribal beats, horns, vocoders, gentle guitars, popping synths, and pop/r&b vocals that will adapt in any club, anywhere. Guest vocalists include Howard Katz, Justine Electra, Jake The Rapper and Raz Ohara.